Sweden planning a “grenade amnesty”. When your country needs a “grenade amnesty”, I’m thinking things are not going very well at all. Splendid idea. I’m sure the jihadists who are sitting on cache’s of hand grenades were just waiting for an amnesty to turn them in. Bombing the Christian Serbs out of their ancestral homeland to establish an Islamic narco-jihad fiefdom made Bill Clinton, also known as slick Willie, a folk hero in those parts. Europe will pay an enormous price for his treason. GERMAN police are refusing to rule out a “political motive” after a bomb was discovered at a Christmas Market in Potsdam, near Berlin. 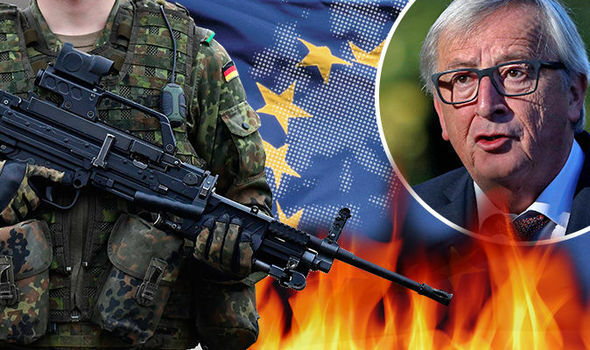 THE complete disintegration of the European Union (EU) and the West over the next two decades is a serious proposition, according to a shock internal report drawn up by the German Army. Nigel Farage is now an islamo-pandering CUCKtard.